You are currently browsing the tag archive for the ‘resources’ tag. Here are some excellent fighter verses for the battle with anxiety from Justin Taylor. I am thankful for the Words of God which cast light upon the darkness of our fears. Our God is great and it is a sin to not trust Him. But how gracious He is to keep reminding us again and again, out of Fatherly love, that He is our rock and refuge. 5. The worst someone can do to me is to kill me and take things from me! 8. Tomorrow has enough to worry about and doesn’t need my help. Gregory K. Beale came to Southern this past semester and presented lectures on interpreting the New Testament’s use of the Old Testament. Greg Beale has a lot of good things to say about many things. I have enjoyed everything that I have heard and read from him. Two books that I have read from him are The Temple and the Church’s Mission: Biblical Theology of the Dwelling Place of God and We Become What We Worship: A Biblical Theology of Idolatry. Both of these I would recommend. However, “The Temple and the Church’s Mission” gives the better example of tracing a theme throughout the entire tapestry of Scripture. If you were going to make your way through a Beale book I would recommend this one. Also, James Grant has linked to a lot of works by Beale. Go over and check them out if you want. 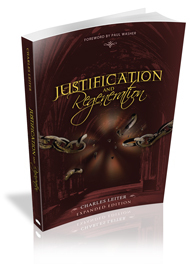 Justin Taylor linked to the Wheaton’s Archives which has many lectures from Francis Schaeffer. Below is several that Justin highlighted. —Ed Welch, When People Are Big and God Is Small. Step 1: Recognize that the fear of man is a major theme both in the Bible and in your own life. Step 2: Identify where your fear of man has been intensified by people in your past. Step 3: Identify where your fear of man has been intensified by the assumptions of the world. Step 4: Understand and grow in the fear of the Lord. The person who fears God will fear nothing else. Step 5: Examine where your desires have been too big. When we fear people, people are big, our desires are even bigger, and God is small. Step 6: Rejoice that God has covered your shame, protected you from danger, and accepted you. He has filled you with love. Step 7: Need other people less, love other people more. Out of obedience to Christ, and as a response to his love toward you, pursue others in love. You can read chapter 1 of the book online for free. This is a very convicting listed given by Derek Brown. 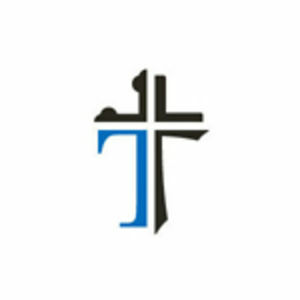 Its main aim is students at a theological school (bible or seminary). Yet, I don’t believe that it is wrong to say that there isn’t something in here for everyone. Give each point a read and see if it can’t apply to you in some way. 1. Cultivate pride by writing only to impress your professors instead of writing to better understand and more clearly communicate truth. 2. Perfect the fine art of corner-cutting by not really researching for a paper but instead writing your uneducated and unsubstantiated opinions and filling them in with strategically placed footnotes. 4. Nurture an attitude of superiority, competition, and condescension toward fellow seminary students. Secretly speak ill of them with friends and with your spouse. 5. Regularly question the wisdom and competency of your professors. Find ways to disrespect your professors by questioning them publicly in class and by trying to make them look foolish. 6. Neglect personal worship, Bible reading and prayer. 7. Don’t evangelize your neighbors. 8. Practice misquoting and misrepresenting positions and ideas you don’t agree with. Be lazy and don’t attempt to understand opposing views; instead, nurse your prejudices and exalt your opinions by superficial reading and listening. 9. Give your opinion as often as possible – especially in class. Ask questions that show off your knowledge instead of questions that demonstrate a genuine inquiry. 10. Speak of heretical movements, teachers, and doctrine with an air of disdain and levity. 11. Find better things to do than serve in your local church. 12. Fill your life with questionable movies, television, internet, and music. 13. Set aside fellowship and accountability with fellow brothers in Christ. 14. Let your study of divine things become dull, boring, lifeless, and mundane. 16. Don’t read to learn; read only to refute what you believe is wrong. 17. Convince yourself that you already know all this stuff. 18. Just study. Don’t exercise, spend time with your family, or work. 19. Save major papers for the last possible moment so that you can ensure that you don’t really learn anything by writing them. 20. Don’t waste your time forming friendships with your professors and those older and wiser than you. 21. Make the mistake of thinking that your education guarantees your success in ministry. 22. Don’t study devotionally. You’ll never make it as a big time scholar if you do that. Scholars need to be cool, detached, and unbiased – certainly not Jesus freaks. 23. Day dream about future opportunities to the point that you get nothing out of your current opportunity to learn God’s Word. 24. Do other things while in class instead of listening – like homework, scheduling, letter-writing, and email. 25. Spend more time blogging than studying. 26. Avoid chapel and other opportunities for corporate worship. 27. Argue angrily with those who don’t see things your way. Whatever you do, don’t read and meditate on II Timothy 2:24-26 and James 3:13-18 as you prepare for ministry. 28. Set your hopes on an easy, cushy pastorate for when you graduate. Determine now not to obey God when he calls you to serve in a difficult church. 30. Forget that your primary responsibility is care for your family through provision, shepherding, and leadership. 31. 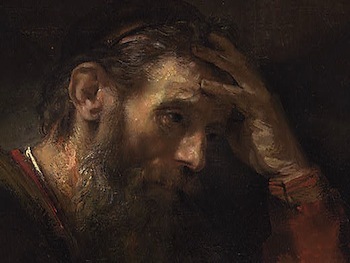 Master Calvin, Owen, and Edwards, but not the Law, Prophets, and Apostles. 32. Gain knowledge in order to merely teach others. Don’t expend the effort it takes to deal with your own heart. 33. Pick apart your pastor’s sermons every week. Only point out his mistakes and his poor theological reasoning so you don’t have to be convicted by anything he says. 34. Protect yourself from real fellowship by only talking about theology and never about your personal spiritual issues, sin, and struggles. 35. Comfort yourself with the delusion that you will start seriously dealing with sin as soon as you become a pastor; right now it’s not really that big a deal. 36. Don’t serve the poor, visit the sick, or care for widows and orphans – save that stuff for the uneducated, non-seminary trained, lay Christians. 37. Keep telling yourself that you want to preach, but don’t ever seek opportunities to preach, especially at local rescue missions and nursing homes. Wait until your church candidacy to preach your first sermon. 38. Let envy keep you from profiting from sermons preached by fellow students. 39. Resent behind-the-scenes, unrecognized service. Only serve in areas where you are sure you will receive praise and accolades. 40. Appear spiritual and knowledgeable at all costs. Don’t let others see your imperfections and ignorance, even if it means you have to lie. 41. Love books and theology and ministry more than the Lord Jesus Christ. 42. Let your passion for the gospel be replaced by passion for complex doctrinal speculation. 43. Become angry, resentful and devastated when you receive something less than an A. 44. Let your excitement for ministry increase or decrease in direct proportion to the accolades or criticisms you receive from your professors. 45. Don’t really try to learn the languages – let Bible Works do all the work for you. When I am anxious about my ministry being useless and empty, I fight unbelief with the promise, “So shall my word that goes forth from my mouth; it will not come back to me empty but accomplish that which I purpose, and prosper in the thing for which I sent it” (Isaiah 55:11). When I am anxious about being too weak to do my work, I battle unbelief with the promise of Christ, “My grace is sufficient for you, my power is made perfect in weakness” (2 Corinthians 12:9), and “As your days so shall your strength be” (Deuteronomy 33:25). When I am anxious about decisions I have to make about the future, I battle unbelief with the promise, “I will instruct you and teach you the way you should go; I will counsel you with my eye upon you” (Psalm 32:8). When I am anxious about facing opponents, I battle unbelief with the promise, “If God is for us who can be against us!” (Romans 8:31). When I am anxious about dying, I battle unbelief with the promise that “none of us lives to himself and none of us dies to himself; if we live we live to the Lord and if we die we die to the Lord. So whether we live or die we are the Lord’s. For to this end Christ died and rose again: that he might be Lord both of the dead and the living” (Romans 14:9–11). 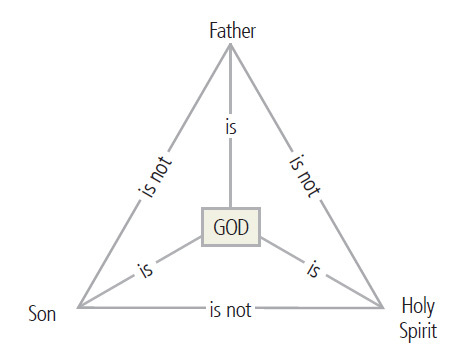 Basically, there are three persons, each person is God, each person is distinct, and there’s only one God. This at least seemed to help my daughter. At least until next year!